Finally, an update! A few weeks ago, my grandma convinced Lucas and I that we needed to try canning. Her grapes ripened well and yesterday afternoon we went over and took a nice hefty load of concords off her hands. 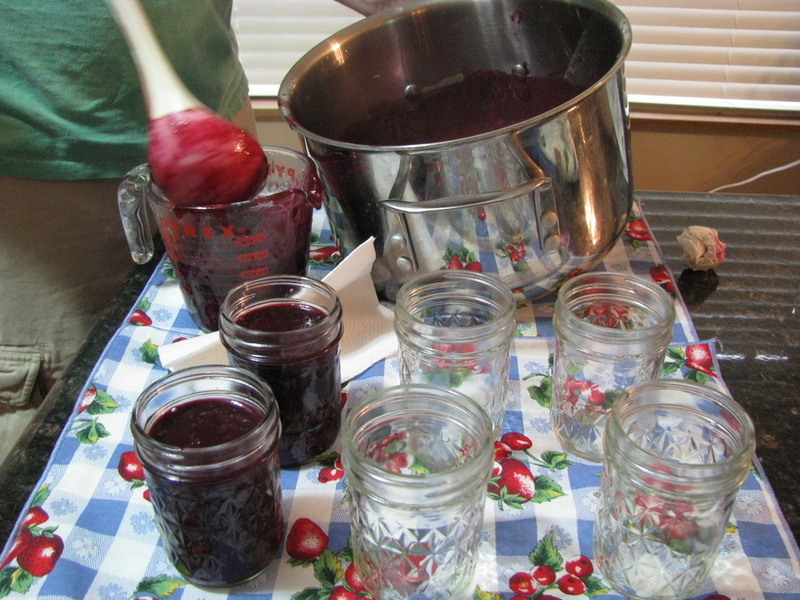 She ensured us that it would be easy, and after a little pre-canning prepÂ readingÂ online, the whole process really was easy. Â And dare I say… fun? Looks like we’ll be gifting some jam this holiday season.